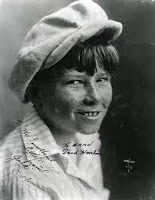 Saturday, Dec. 15, 2012 | 2:52 p.m.
As a precocious, freckle-faced child actor, Las Vegan Jack Hanlon did not have much to say in his film roles, but neither did the other cast members, as Hanlon’s career began in the silent film era and ended in the early days of the "talkies." But his body of work, including roles in two 1927 Our Gang/Little Rascals short subjects, an appearance alongside Buster Keaton in the 1926 classic “The General” and a breakout performance in the 1929 William Wyler-directed film “The Shakedown” speak volumes of Hanlon’s contributions to early Hollywood. Jack Clem Hanlon died Thursday in Las Vegas at age 96. He had resided for the past 18 years in an apartment on Koval Lane until earlier this month, when he relocated to a local assisted living facility after a stroke. There will be no local services. Hanlon will be buried in Santa Monica, Calif. Davis Funeral Home-Eastern Avenue is handling the local arrangements. Hanlon was born Feb. 15, 1916, in Fort Worth, Texas, and was raised by his grandmother in Culver City, Calif. 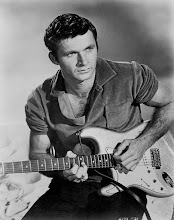 He began his film career at age 10 in “The General,” a United Artists film that later was selected by the American Film Institute as one of its top 100 films of all time. Hanlon went on location with Keaton to Cottage Grove, Ore., for six weeks of filming for "The General." Hanlon appears as the little boy who follows Keaton back to his girlfriend's home. But Hanlon long lamented that most of his performance in that movie wound up on the cutting room floor. The plot of "The General" is built around Keaton joining the Confederate Army during the Civil War and includes the recreation of the Great Locomotive Chase military raid of April 12, 1862. The film was one of the costliest movies of its time at $750,000 — and a box office flop. Hanlon recalled that Keaton was strictly business on the set because he had sunk a lot of his own money into the film. “Buster didn't have a lot of time for the kids on the set, and Jack said he understood that,” Satterfield said. The film’s bloated budget combined with its failure to turn a profit cost Keaton his artistic independence for the rest of his long film career. A year after "The General" was released, Hanlon joined the Our Gang ensemble for just two of its short films: “The Glorious Fourth” and “Olympic Games,” the 62nd and 63rd Little Rascals films produced by Hal Roach’s studio. "The Glorious Fourth" featured the mischievous kids getting their hands on fireworks with disastrous yet hilarious results. Hanlon gives Farina Hoskins a quarter to buy rockets that he and Farina set off, destroying a building and a car. "Olympic Games" finds the kids, inspired by the Stockholm Olympics, setting up their own athletic contests, including the shot put, pole vault and hurdles with predictably bumbling results. Hanlon is mistaken as the boy who continually jeers the inept athletes with Bronx cheer “raspberries” only to be chased down and beaten up by the other rascals, including Wheezer Hutchins, Farina and fellow future Las Vegan Jay R. Smith. After their film careers, Smith and Hanlon remained close friends until October 2002, when Smith was found stabbed to death in the Las Vegas desert. Charles “Wayne” Crombie, a homeless man Smith had befriended, was convicted of the murder and was given two life sentences. Hanlon’s career hit its zenith in 1929, when he appeared as Clem in Wyler’s action/comedic drama “The Shakedown,” about a mediocre boxer whose life changes after he takes in an orphan (Hanlon). Made for just $50,000, the 70-minute Sam Goldwyn-produced silent movie with partial dubbed dialogue was long lost until a 35mm positive in good condition was discovered and restored in 1998 by The George Eastman House museum. Hanlon said one of his fondest acting memories came in the 1930 film “Romance.” Hanlon, an uncredited extra, played the role of a street urchin who got his first on-screen kiss from the legendary Greta Garbo, who was nominated for an Academy Award for that leading role. Between 1930 and 1933, Hanlon appeared in eight more "talkies," including “Big Money” with Clark Gable and the Western “The Wagon Master” before calling it a career at age 16. Hanlon said he rarely made more than $5 a day for his film work. Hanlon went on to graduate from high school in Southern California, play minor league baseball and serve as an Army Air Corps paratrooper during World War II. After the war, Hanlon, despite being small in stature, was a longtime furniture mover for Allied Van Lines. He retired to Las Vegas in the mid-1990s. Hanlon and his wife, Jean, were married from 1940 until her death in 1977. Hanlon later dated Jean’s sister Maude, who became his longtime companion until her death about 10 years ago. Hanlon is survived by three nieces, Wendy Putnam Park of Las Vegas, Karen Putnam of Mission Viejo, Calif., and Sandy Campbell of Chatsworth, Calif.; a nephew, Barry Ginn of Portugal; two great-nieces; three great-nephews; and six great-great-nieces and -nephews. Born: 2/15/1916 Amarillo, Texas, U.S.A.
Died: 12/13/2012, Las Vegas, Nevada, U.S.A. Most information about Hanlon that I saw. Thank you for a well-written obit.